It appears nowadays clear that Chinese authorities are moving towards strict application of food safety provisions. Recently, Shanghai was the scene of a new food safety scandal, the last of a long series, however different from the others under various perspectives: we are referring to the recent closing of popular French bakery FARINE in Shanghai. For those not very familiar with Shanghai, FARINE is (was?) a very succesful, long-established, French-owned bakery chain (with few stores, serving delicious and high-priced French boulangerie products) in Shanghai; at the peak of its success, it was suddenly closed by FDA authorities after inspection in its centralized kitchen during which 500 bags of expired flour were found. The inspection was purportedly triggered by a whistleblow from a former employee, who also leaked on social media videos showing the centralized kitchen with some mouldy flour bags and other shocking images. Other F&B businesses owned by the same entrpreneur (namely: the most succesful ice-cream shop in Shanghai, a high-end burger house, and other top-end bistrot) were also closed, despite not being directly involved in the accident. 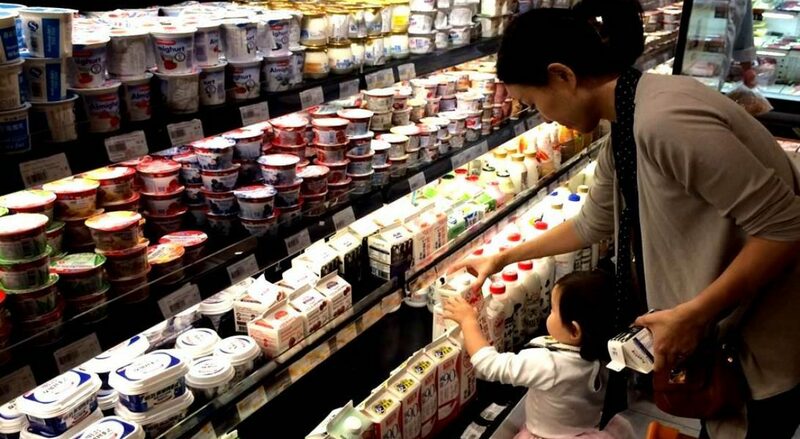 As this matter is still under investigation from Chinese, we do not want to make any specific comment to this case; rather, we want to share some general technical considerations about a key legal issue involved in this case: “shelf life” of food products under Chinese Law. Firstly, it is worth noting the difference between the concepts of “expiration date” and “date of minimum durability” (or “best before”). Chinese regulation applicable to labeling of pre-packaged food products (GB 7718) requires as mandatory item to be labeled the date of minimum durability/best before (in Chinese: 保质期)), which is defined as “the date which marks the end of the period under any stated storage conditions on the label of the prepackaged food during which the quality of the product will be maintained and the product will remain fully marketable and retain any specific qualities for which tacit or express claims have been made”. This definition of minimum durability/best before is also confirmed by Article 150 of the Chinese Food Safety Law, which reads “…the period prior to the “best before” date when the food remains in good quality under the storage conditions indicated on the label”. This is different from the so-called expiry date, which is the last date that a product should be offered for sale before being considered as harmful to health. No definition of expiry date is provided by PRC regulation. By reference, other legal systems do have such definition (for instance in the EU regulation No. 1169/2011 on the food information to consumers, expiry date is defined in Article 14 as “… date a food shall be deemed to be unsafe in accordance with Article 14 (2) to (5) of Regulation (EC) No. 178/2002”). Date of minimum durability/best before is a mandatory labeling item for the prepackaged food products, except for alcoholic beverages where the alcohol content is 10% or over, vinegar, monosodium glutamate, sugar and salt in solid form. Prepackaged food includes not only prepackaged food offered for sale directly to consumers, but also that offered indirectly (i.e. raw and supplementary materials provided by the food producer and used for the preparation of food products), hence also applies to flour to be used as ingredient for bakery products sold by catering industry. In any case, Article 124 of the Chinese Food Safety Law prohibits “the production and distribution of food or food additives with a false shelf life or whose shelf life has expired” and imposes sanctions on food companies that act contrary to this provision. In summary, even if the date of minimum durability/best before date refers to potential quality issued and not necessarily to food safety issues (meaning that– from scientific point of view – a food product beyond its minimum durability/best before date might in theory not present any food safety risk), this however – in view of the aforementioned article 124 of the Chinese Food Safety Law – does not mean excuse food companies using expired raw materials in production. After so-called “FARINE” scandal, a lot of consumers felt cheated and deceived, however maybe most consumers are not clearly aware of the difference between the expiry date and “best before”. While – so far at least- there is no news of food poisoning or any other health harm related to this accident, it is certain that all food businesses will pay stricter attention on the management of their production system. How “natural” can food be (in China)? We trust the shops. And they use it. Now you need to check the shelf life of products always.